Dr. Lin Stepp, a New York Times and USA Today Best-Selling international author, is a native Tennessean, businesswoman, educator, and the author of eleven Smoky Mountain novels, including the most recent LOST INHERITANCE (2018) set in Gatlinburg, a novella in one of Kensington’s Christmas anthologies, and two regional guidebooks co-authored with her husband. 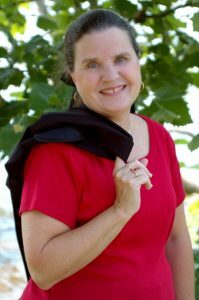 Lin writes engaging, heart-warming Southern fiction with every novel set in a different location around the Great Smoky Mountains. 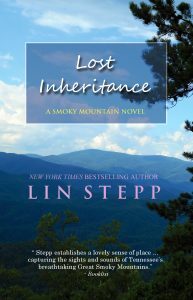 My latest book, Lost Inheritance, is the eleventh in my Smoky Mountain series and set amid the charm of downtown Gatlinburg this time. All my Smoky Mountain novels are stand-alone books, each taking readers visiting to a new place around the mountains with a new story every time. This book, featuring main characters Emily Lamont and Cooper Garrison, explores how loss and disappointments can, in time, open surprising new doors for happiness and gain. As the story opens, Emily Lamont learns that an improperly executed will has cut her out of inheriting her godparents’ estate and the prestigious Newman Gallery in downtown Philadelphia she manages. Leonard, a nephew her godparents had little use for, inherits everything instead. Stunned with this news, Emily leaves the city to go to Gatlinburg, Tennessee, to a small art gallery on the River Road she did inherit through a later legal transaction. Here she hopes for a new beginning and a time for healing, but she quickly bangs heads with Cooper Garrison who thinks his mother should have inherited the gallery instead of her. All my contemporary Southern fiction books to date have been set in the Smoky Mountains. All have a little romance, a dash of suspense, a touch of inspiration, and a big dollop of Appalachian flavor. When trekking around the Smokies, hiking its trails with my husband for our hiking guidebook (published in 2014), this was the kind of contemporary book I started looking for. However, more than one bookstore owner shared regrets that they had no fiction books like this to offer, despite the Smoky Mountains being the most visited national park in America. So I decided to write some! I hoped to bring readers to the different places around this area I know and love in every book, through a good story in a rich setting, making them feel like they’d visited here. I spent most of my earlier life as a businesswoman and a professor. I have been on faculty at Tusculum College, teaching research and a wide variety of psychology courses, for over eighteen years. I have also carried a variety of marketing, sales, and public relations jobs for educational companies and with my husband’s and my business S&S Communications. An old secret desire to write books always lurked in my heart, and when my children were finally grown and gone from home—out on their own—it seemed the time to write, around my other jobs, finally opened. As a Christian, I believe we are expected to use the talents God gives us with all our heart and mind and strength. My main female character in this book is Emily Lamont. Emily has a tough, smart, business-savvy side—as the long-time manager of a downtown Philadelphia art gallery—but she has a soft, tender side, too. Even when Cooper first meets Emily, he seems to notice that dual nature. Emily means “industrious and hard-working” but also “flattering and eager” which seemed appropriate for this character’s two sides. When I choose character names I keep personality in mind … but am also moved by the pictures I find to represent my characters. Many times when I find the perfect picture to represent the character I’m “seeing,” the name simply comes to me as I look at the picture. As an author I generally spend three months researching, planning, and outlining a book and then three months writing it. So I usually write two books a year, unless life throws me a curve ball. But there is so much more work involved than just sitting at a computer writing out the latest novel. To better handle all the other aspects of the job, I designate Mondays as Marketing Day, where I work on setting signings and events, responding to requests to speak, doing media follow-ups, handling communications, updating my website events, answering calls, and writing needed interviews or articles. Every day is a busy day in the life of an author. First, “Time Management.” Working at home without a 9-5 boss means you have to see to it, by yourself, that you get your work done—without prompting. It also means you work on your own without interaction and without the ongoing encouragement and sharing you get when in the work force outside the home. This takes a lot of self-discipline. Second, “Isolation.” Perhaps some introverted authors love this isolation, but I am an extrovert by nature, so I get energized being with others and I love interacting with other people. I make the isolation work for me by keeping my focus on how my story will inspire and entertain when finished. Also while writing, I feel like I’m interacting with others since my characters become like “real” people to me. First, “Independence.” The best part of my author’s life, besides writing and its satisfactions, is working primarily for myself. I am a natural entrepreneur and innovator. I love the creative process of inventing my own characters and books, and I love organizing and operating my own business. I see this independence as one of the best parts of my job. Second, “Meeting My Readers.” For me, as an extrovert, the second best part of my author’s life includes getting out in the public to meet my readers. This includes going to book signings, speaking events, festivals, literary conferences, book clubs, civic groups, libraries, churches, and organizations where I get to share about my books and interact with my fans and readers. I do about fifty events a year … and I simply love these times of meeting my readers and making new friends. A lot of funny and unexpected things happen in the life of an author. At my very first bookstore signing I had a large table with books all over it, a big sign beside my table with my photo and book cover on it, and an identification hangtag around my neck. I was so excited to be there, signing my first published book. And yet, people came into the bookstore over and over again asking me questions about where to find books and things in the store, assuming I was an employee. Didn’t they read? Didn’t they see the signs and my books piled on the table? Evidently not … For this has happened over and over for ten years and through fourteen published books now!!! That God gave me the courage, the ideas, and the inspiration to become an author. I’m so happy, too, that what I’ve written has given others joy and pleasure. I’m proud, also, that what I’ve written has received recognition. From the beginning I wrote what I loved, and the kind of books I personally love to read, but to my delight, readers have loved my Smoky Mountain books, too. Even more amazing, my books have hit the New York Times, USA Today, Publishers Weekly, and Amazon bestseller lists, and some have gone into large print, audio, CD, and even into international versions. I often look back on it all and say: Look what the Lord hath done. I have been so blessed. I love to read. I’ve always been a voracious reader and still am. I read about two books a week around my writing and other works. I know reading shaped me as an author, too. Through reading, I absorbed all the things that make a book entertaining and enjoyable. I also love learning new things through books and think of myself as a “lifetime learner.” I would probably go back and get another degree if I had time. I love to hike, walk, and explore. My husband and I are avid hikers and adventurers. And my favorite daily exercise is a long walk around my neighborhood or on nearby walking trails. A Frank Lloyd Wright quote I love says: “I go to nature every day for inspiration in the day’s work.” That’s true for me. I get inspiration and needed exercise all in one! To date I have eleven novels set in different locations around the Smokies and my husband and I also write regional guidebooks. Our first, titled The Afternoon Hiker, was a guide to 110 Smoky Mountain hiking trails, filled with trail descriptions and color photos. We had so much fun creating that book that over the last two years we visited all 56 state parks in Tennessee to write a new guidebook, Discovering Tennessee State Parks, publishing the same day as my new novel. The parks book is a guide to the opportunities and amenities available in every park and it includes over 700 color photos in illustration. In future my husband and I plan to do other guidebooks together, a devotional, some children’s books… and, of course, I will continue to write more novels. After my Smoky Mountain Series is complete, a new series called the Mountain Home Books begins. And I have a short 3-book trilogy publishing that will take my readers to Edisto Beach, SC, to our favorite vacation spot. Right now I am completing the second book in the Edisto Trilogy Return to Edisto and starting edits on my next Smoky Mountain novel called The Interlude set in the Greenbrier-Pittman Center area and scheduled for publication April 2019. Interested readers can keep up with all my books on my website, and I’d love for readers to follow me on Facebook and Twitter, and to look for me on Goodreads. Thanks so much for featuring me on your blog. 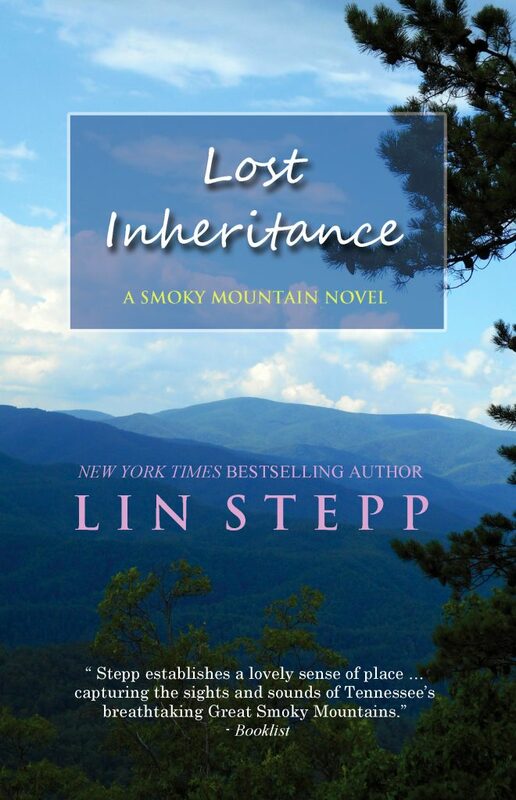 I hope you enjoyed journeying back to the Tennessee mountains again through my book LOST INHERITANCE!